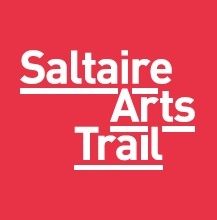 This highly regarded arts event at the World Heritage Site of Saltaire, near Bradford, had broken away from the main Saltaire Festival to hold its own weekend in May and needed publicity. Look Lively Media founder Jane Cameron pinpointed the best news angles for the Trail’s exhibitors and used her extensive press contacts to get widespread coverage in print, broadcast and online. Jane was certainly an asset to our marketing team. She worked hard, found the right regional exposure for the Saltaire Arts Trail and was a pleasure to work with.